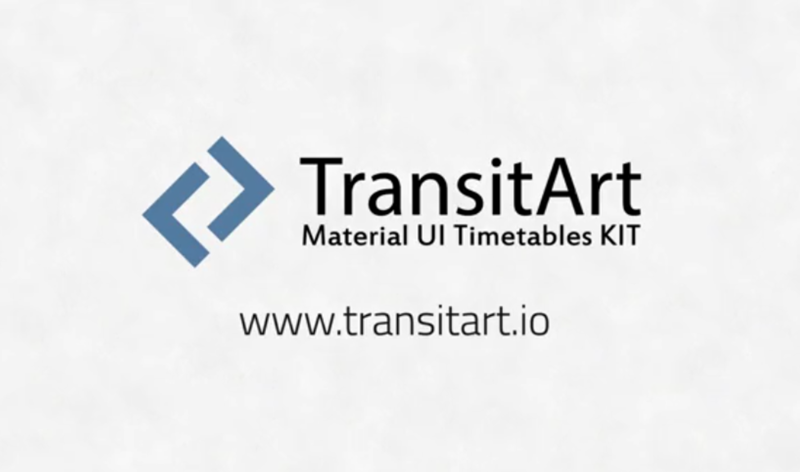 TransitArt: Material UI Timetables KIT – Easy passenger information visualisation for your website and mobile app. Use TransitArt and gain extra time for making an cutting edge projects. Try the live demo below! 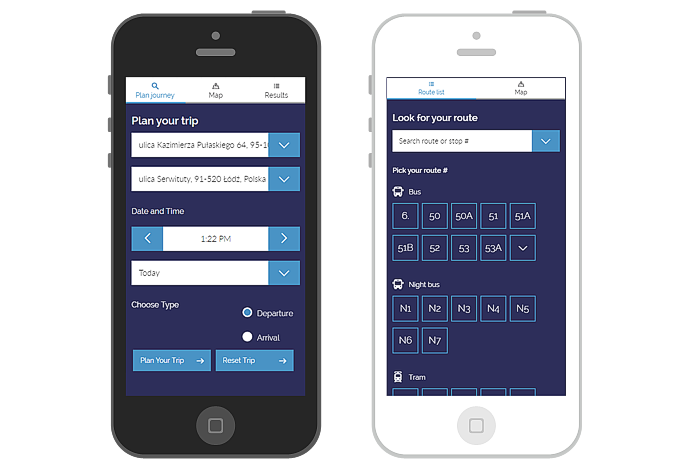 Warsaw Tour is travel guide mobile application that can show you around the city of Warsaw, Poland. Users can learn about history, art, attend sport events or find leisure places and eat good food. 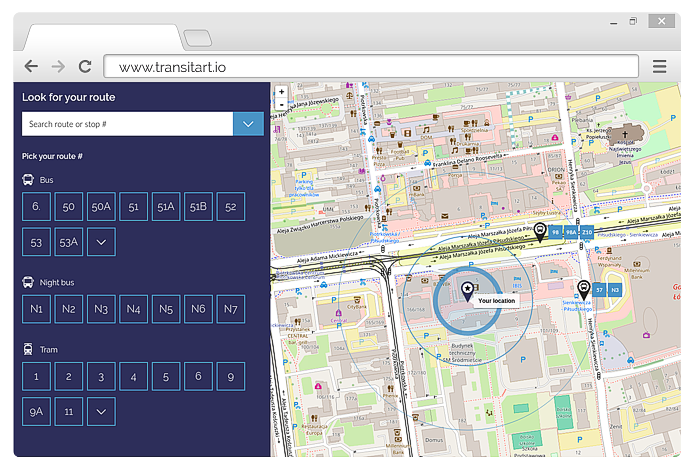 Application uses transitart.io components to guide users using public tranport. Follow our social media profiles to be familiar with news about Inovatica. © 2019 Inovatica L.L.L.P All rights reserved.